When you want to cook healthy but don’t want to use a 1000 bowls to do so! 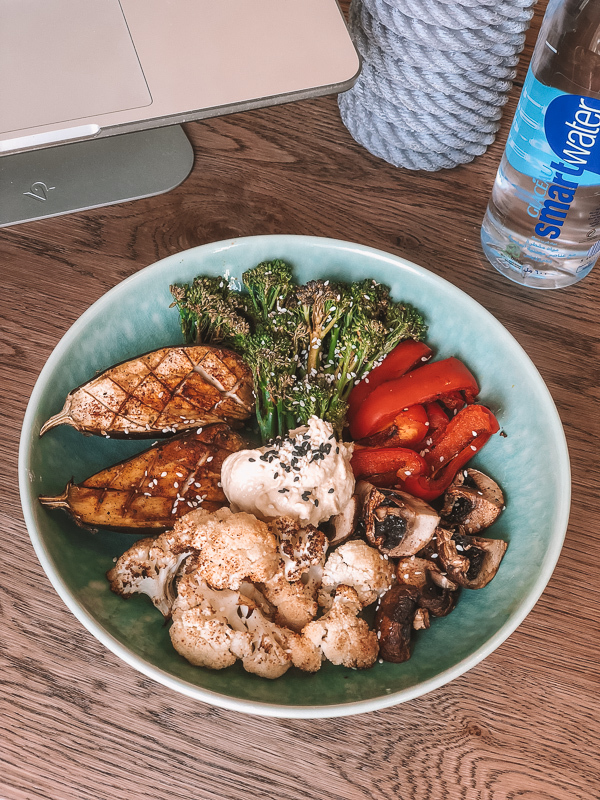 This dish is one of my staple lunches at the moment, I put all the seasoned veg on one tray whilst I work and then when it’s ready, top it all with hummus and sesame seeds to serve! 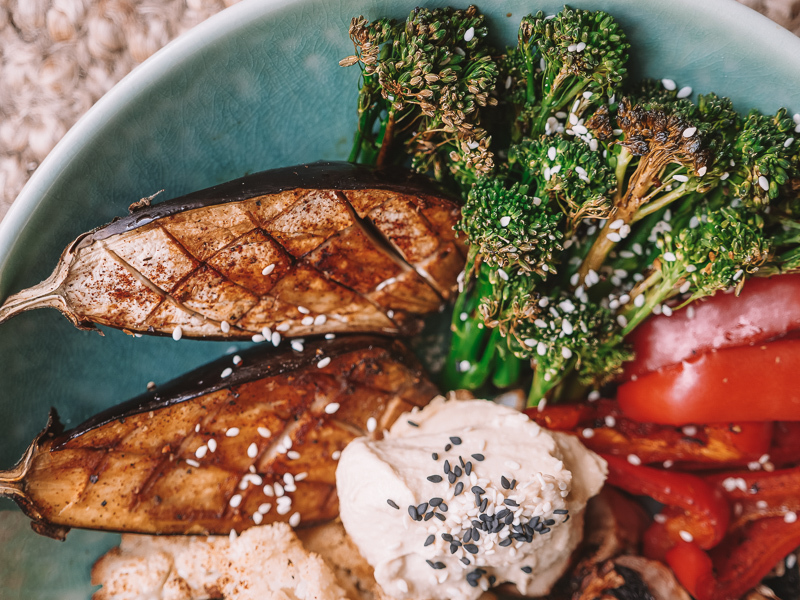 Roasting the vegetables brings out a lovely and unexpected earthy flavour, making the veg bowl actually feel like an indulgent meal, rather than your more common ‘boring’ healthy options! 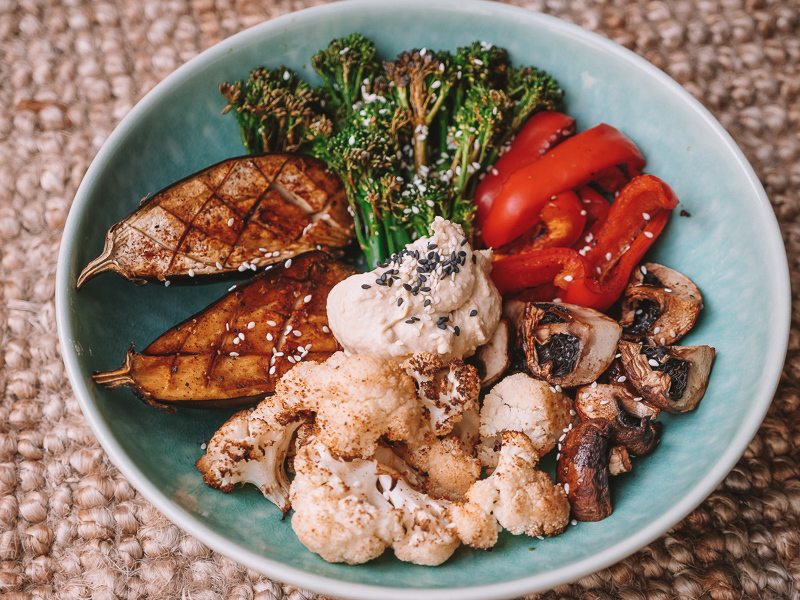 I’ve used baby aubergines, button mushrooms, tenderstem broccoli, red pepper and cauliflower. The broccoli is the only veg the takes slightly less time than the others, so I take it out 5 minutes before the other veg. Hope you enjoy the recipe! If you want to add more in way of dressings, my two best are miso or tahini. You can simply drizzle them over the top and they go really well with all the vegetables. 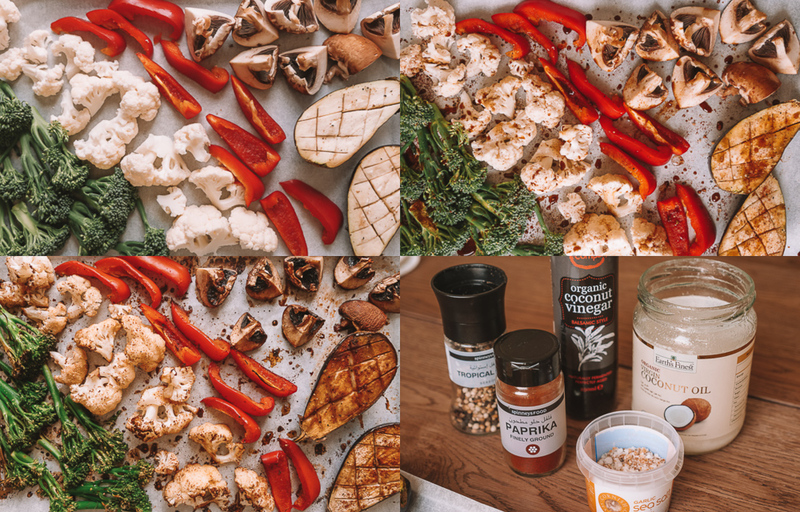 Slice the peppers, cauliflower, aubergine, and mushrooms as shown in images. Lay all the vegetables onto a baking tray and top with the "seasoning" ingredients as listed above. Place the tray in the oven and roast for 12 minutes. Remove the broccoli. Roast the remaining vegetables for a further 5 minutes or until golden and crispy around the outside!